Nevil Shute was a writer whose books were frequently looked down on by literary critics and yet when he died in 1960 he was one of the best selling novelists of his day. Today, books such as A Town Like Alice and On the Beach continue to attract new generations of fans. However there was more to Shute than his books, a great deal more. 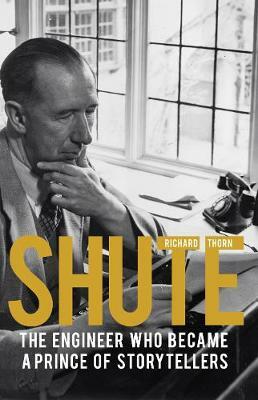 Richard Thorn explores Shute's personal and professional life, drawing from extensive research carried out using archives and sources in the UK, USA and Australia. Nevil Shute Norway began his professional life as an aeronautical engineer working on the outskirts of London for the newly established de Havilland Aircraft Company. He quickly went on to play a key role in Britain's ill-fated and final airship programme, before co-founding an aircraft manufacturing company at the height of an economic depression. All the while, using the pseudonym Nevil Shute, he spent his time writing for relaxation in the evenings. After the Second World War, he flew a single-engined aeroplane to Australia and back in search for new material for his novels. Fascinated by the new world that he had seen, the novelist sold up and moved his family to Australia, buying a farm in a small town on the outskirts of Melbourne. For the remainder of his life, Australia was his home and the inspiration for many of his best-loved novels. Shute tells the story of the life and times of an extraordinary man who made a significant contribution to twentieth century popular literature. This book will appeal to fans of Shute's work, those interested in his background and personal life or to readers interested in the early years of the aviation industry in Britain. Where Shall We Run To?